Ghana top model and entrepreneur, Victoria Michael has been announced by the organizer of Mercedes Benz African fashion festival as the BRAND AMBASSADOR for 2016 Regal Edition of the event. According to the statement released by the organizer, Victoria was chosen because she posses the qualities that the event represents; a Regal personality who isn’t just an image but a symbol that will inspire a generation. Since the event kicked off in 2014, it has served as a global voice in fashion, bringing new and established designers as well as models to showcase skill, elegance, intelligence, creativity and grace on platform. According to Gideon Raji, CEO of Global Ovation – Organizers of the MBAFF, we are more than delighted to have Victoria Michaels as our ambassador for the Mercedes Benz African Fashion Festival. The theme for this year’s edition is a personification of Victoria’s aura; elegance, gracefulness and above all regal carriage. Victoria Michael name shot to limelight when she was made the brand ambassador for Fashion Icon Awards in 2014 and became brand ambassador for Melcom brand and Africa Fashion Week London the following year. Since them, she has been on top of her game with movie roles, campaigns, charity works, and multiple excellence awards to her credit. In response to the appointment, Victoria commented that she is very happy to be associated with the brand. 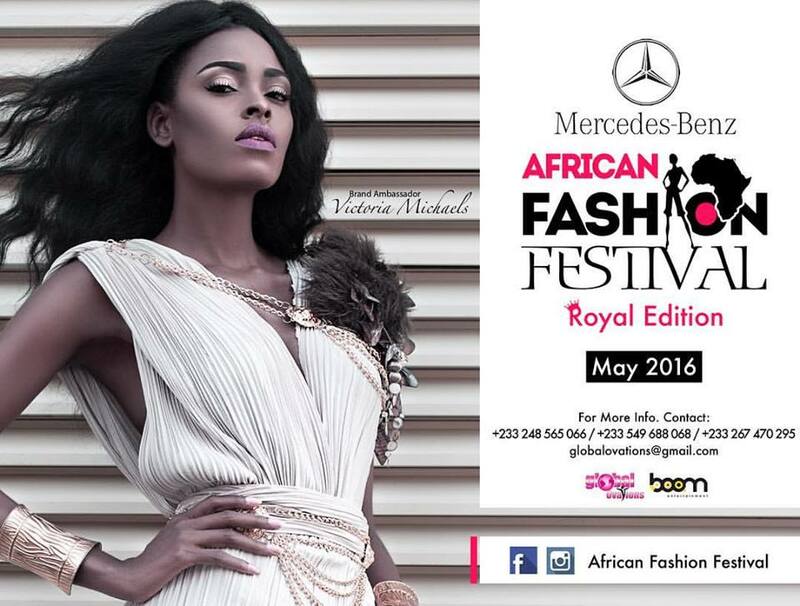 'As the face of the Mercedes Benz African Fashion Festival 2016, I would use my role to promote African fashion on the global stage'.